Floral design is an important cultural art form that has spanned thousands of years – and today is a day to enjoy and appreciate flowers in all shapes and forms. Whether they’re arranged into bouquets or printed on fabric, flowers are an integral part of both our social and visual landscape. In Poland, flowers play a significant role in everyday life. Poles give flowers to express a multitude of feelings – gratitude, sympathy, appreciation, friendship, or reconciliation. For example, when visiting someone’s home, you are always expected to take flowers to the host or hostess. In fact, some consider it rude to show up empty handed as Polish homes always have a stock of spare vases to cater for such “surprises” And celebrations, whether they’re arrivals, departures, weddings, or name days, are not considered complete without them. Still, you can’t go giving flowers willy nilly without knowing a few things. First, flowers must always be given in odd numbers as even numbers are considered bad luck. Second, the type of flower given must be appropriate to the situation. Chrysanthemums symbolize death and are only used at funerals, whereas roses represent passion and romance. 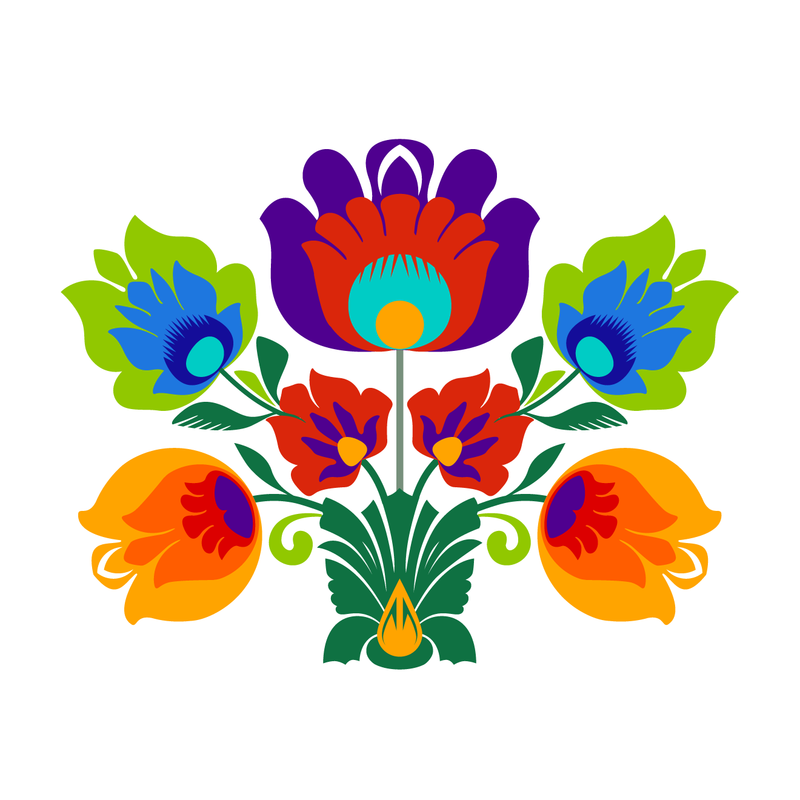 Floral motifs are also at the forefront of Polish folk art. Embroideries, wycinanki (papercutting), pisanki (egg decorating), pottery, and even foods (like rose jam filled pączki) almost always feature flowers. Trust us, there’ll be more on that later. In the meantime, celebrate Floral Design Day today. Need some ideas on how? Try putting together a bouquet; or if you’ve got a brown thumb, take a picture of a bouquet. Better yet, make your way to the botanical garden to take in all the eye candy in person. And for those of you stuck indoors, just google “flowers” and see what comes up. You can even take a stab at drawing your own floral design.